Andy Aditya is a renowned name in SE Asia. The reason is his journey towards becoming a serial entrepreneur and a startup specialist in Thailand. Having established over 20 companies encompassing 16 different industries, out of which 12 of them are technology companies which justifies Andy’s background in Information Technology. 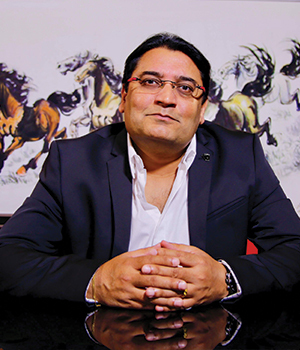 He is the Founder and CEO of the Aditya Group Thailand which offers Startup, Business and Management Consulting specially to foreign companies looking to establish themselves in Thailand. Andy has developed a unique business model for Thailand, where he can not only be hired as a CEO to run multiple companies but also invest in Joint Venture operations as Thailand often needs a Thai Partner to operate. 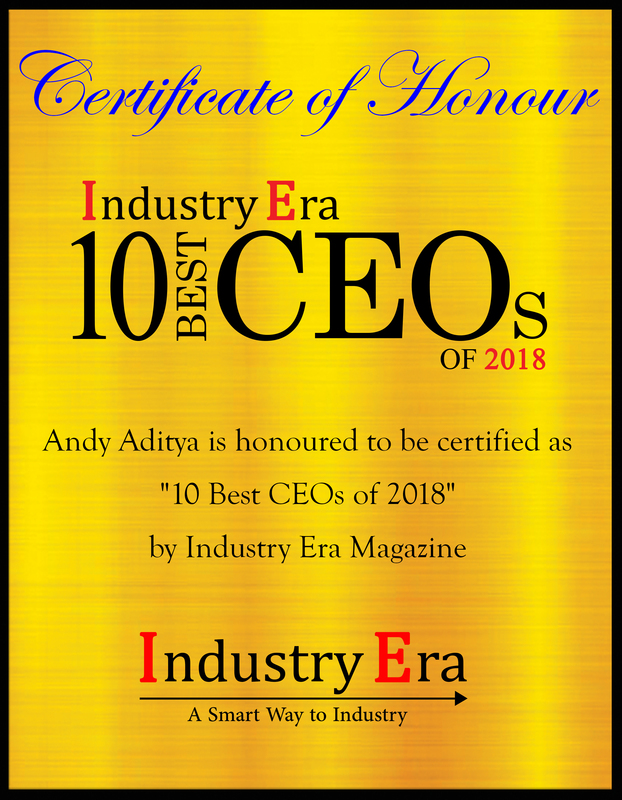 With his in-depth knowledge about the Country dynamics and established contacts, most companies find it easy to get into the market with lesser risks by partnering with Andy.
" A CEO who thinks like an Owner, but works like an employee. " Azure Thailand, a technology company, is a milestone of Andy’s accomplishment as CEO and Co-Founder. Azure Thailand, is a joint venture between Azure USA and Aditya Group Thailand since 2011 with Andy taking up the role of CEO right from the inception and steering the company to greater heights every year. Since the inception of Azure Thailand, his business acumen and direction has taken the company to new heights, doubling business growth over the last three years. Each year, he has developed new strategies to market new technology solutions which has created a niche in Thailand market. Azure Thailand has the experience and know-how to implement digital banking projects leveraging a combination of technical tools and delivery model that customers can expect only from large systems integrators. As Andy beckons “Customers by choosing Azure, can benefit from the flexibility and fiscal economy that they enjoy with small companies without compromising on the rich tool-set, skills and delivery options that they expect from large firms. Azure provides customer-centric solutions as desired and not as produced.” Azure has partnerships with IBM, SAP, KONY, Infosys and works with them hand in hand to solve complex issues for customers desiring a suitable solution. Andy’s future vision focuses on two areas namely data science which is fast becoming integral part of a variety of business’s tech teams. Secondly, cybersecurity which has become the number one priority and owing to the rise of cybersecurity breaches, nearly half of IoT budgets will go to product recalls, incident response and cybersecurity by 2022. In an instance, recently, a Thai bank wanted to implement a digital project with a combination of tool-set that was rather unique; a proprietary mobile product, an Open Source tool, block-chain technology for the e-KYC, and integration with proprietary product offering for their insurance and e-wallet solutions. All these offerings were bundled into a single platform for a truly digital bank offering. Azure Thailand implemented the project with physically dispersed engineering team – project management, UI/UX and QA was handled in bank premises as they required high touch functions and customer feedback, while the heavy lifting of back-end and middle-ware code development was done offshore in Azure’s India location. This enabled a more economical budget for the project, a quicker execution than onsite only model, and flexibility of staff ramp up or down depending on project life cycle. The key combination that Azure brings to the table for customers are its broad technical skill-sets, flexible delivery models, and strong project management with Agile methodology. As the company moves forward, Azure is adopting to new delivery methodologies like DevOps, Application Container, Container Orchestration, micro-services that provides customers with the agility they need to succeed in today’s Digital world. Azure ability to offer total solutions gives our clients a simple, cost- effective alternative to multi-vendor sourcing for complex IT projects and a faster time-to-market.